Prima Marketing-Flowers. 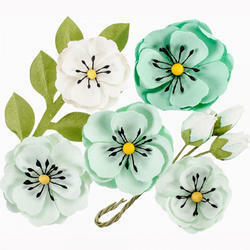 A fun floral addition for all your crafting projects! This package contains an assortment of paper flowers. Comes in a variety of designs. Each sold separately. Made by hands Satin ribbon 25mm dia using hot melt to stick by electric glue gun. This flower is flat on back side and a piece of wire also provided to fasten with other obje to secure. - Excellent and aesthetic look to item. 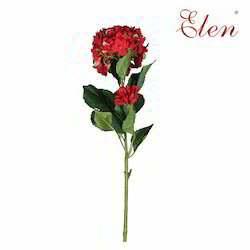 We manufacture uniquely designed artificial flower sticks that are offered in several varieties and unlikely colors. We make several flowers such as sunflowers, roses, among others. The color combination we use gives these flowers a wonderful look and makes them even more special as well as distinct. These flowers can be assembled in finely shaped and trendy pots to match their class. KaBloom sincerely believes that the splendor of fresh-cut flowers should not only be for rare special occasions, but for the everyday occasion called life. Through superior quality, irresistible prices, amazing service, and unmatched shopping convenience, KaBloom enables you to brighten your day, your home, your life with the stunning beauty of a KaBloom floral inspiration!